Directly out of The Tennessean that gets delivered at work. I saw the photo on the cover of the taste section on Wednesday, I folded it and hid it in my purse. Then I lied when someone asked if I knew where it went. I literally lied and stole for this recipe. I celebrated Easter with my sisters yesterday. We cooked, played cards, ate and colored eggs. They both had obligations with their fella’s families on actual Easter so I asked my friends Raquel and Carl to join Ben and I for Sunday brunch. 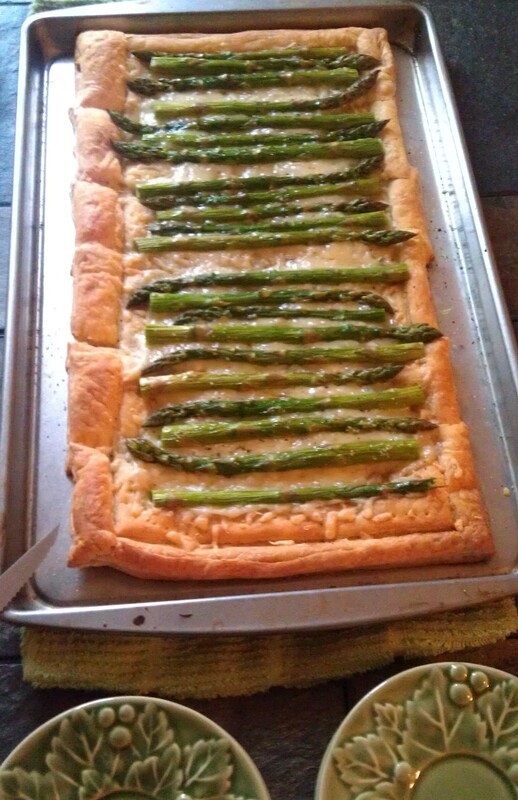 The real reason I wanted to have brunch couldn’t be clearer, I needed to make that tart. 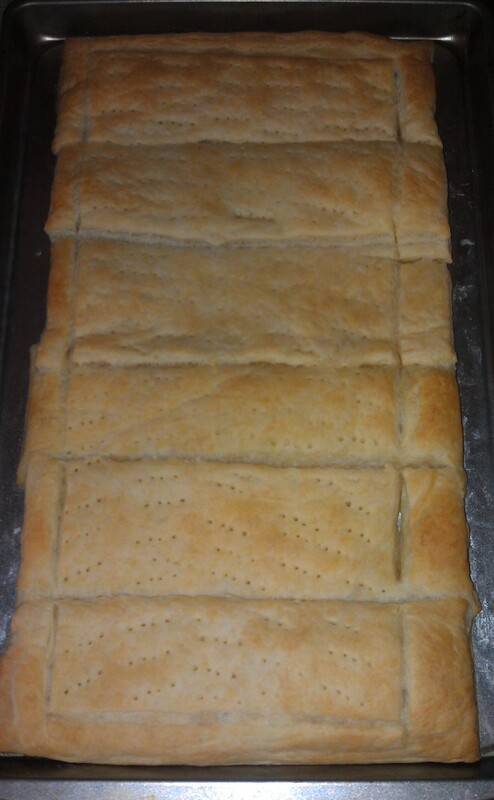 I have never dealt with puff pastry before and I wanted to make it myself, but I woke up after 9 am and decided to buy the frozen stuff. (It was cheaper than I thought it would be!) 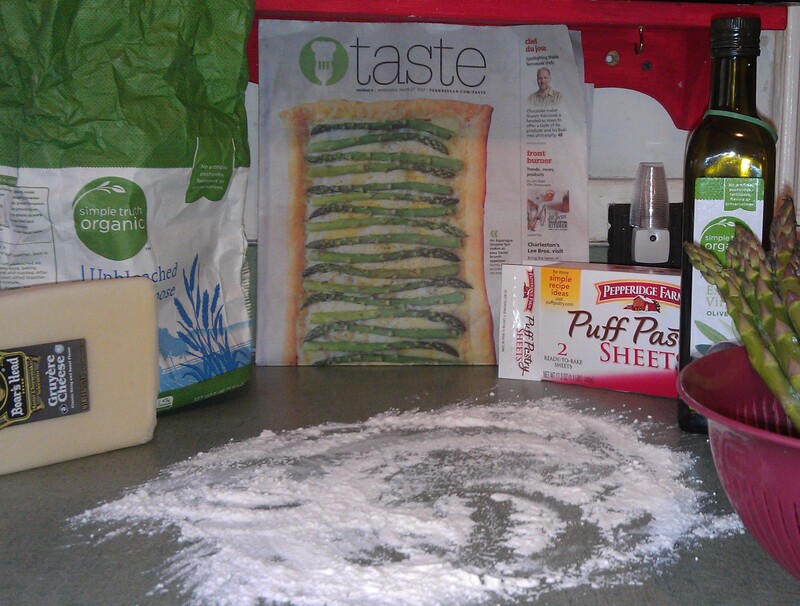 I coated my surface with flour, just like the recipe in the newspaper says. Then I realized that I didn’t need it, so my photo up there is a little misleading. Lay your puff pastry on a baking sheet in a rectangle, once it’s soft enough press together any seams that aren’t attached already. Use a sharp knife to lightly score a rectangle about one inch smaller than the puff pastry on the inside of the puff pastry. 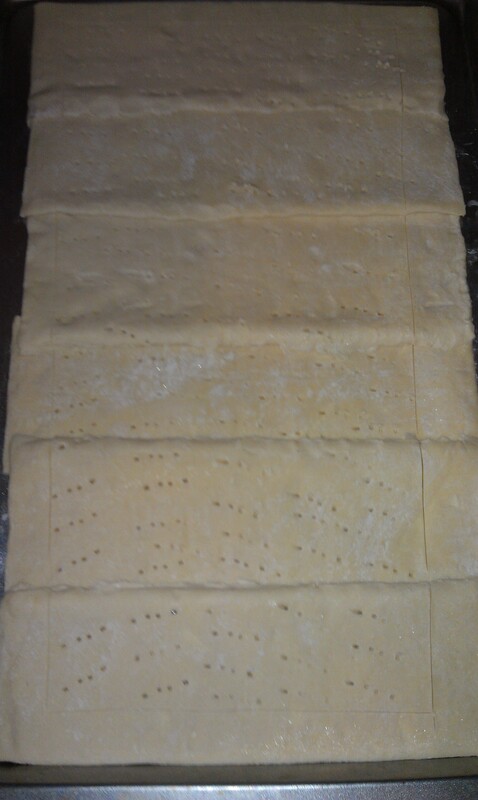 Then use a fork to poke holes inside the rectangle you scored. Bake this in the oven for 10-15 minutes, until golden. Remove pastry shell from oven and sprinkle all the Gruyère inside the rectangle. Wash and chop the asparagus to fit across the rectangle in one single layer, alternating end to tip. Brush the asparagus with oil and then season with salt and pepper. 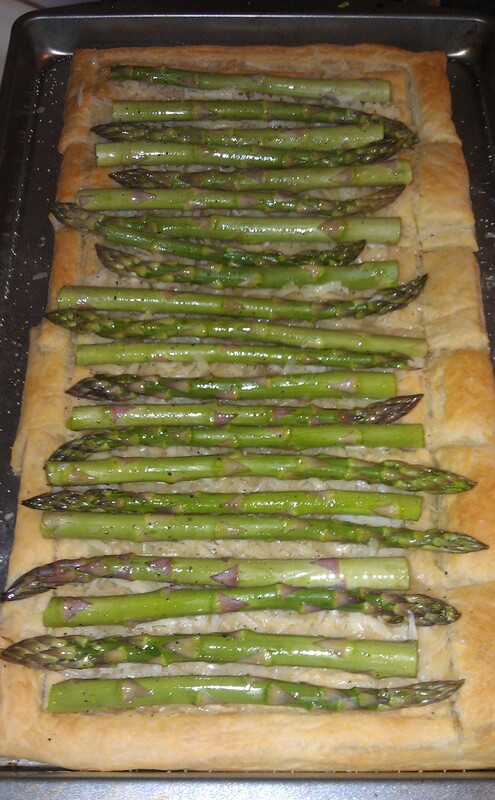 Bake for another 20 minutes or until the asparagus are tender. Absolutely delicious.